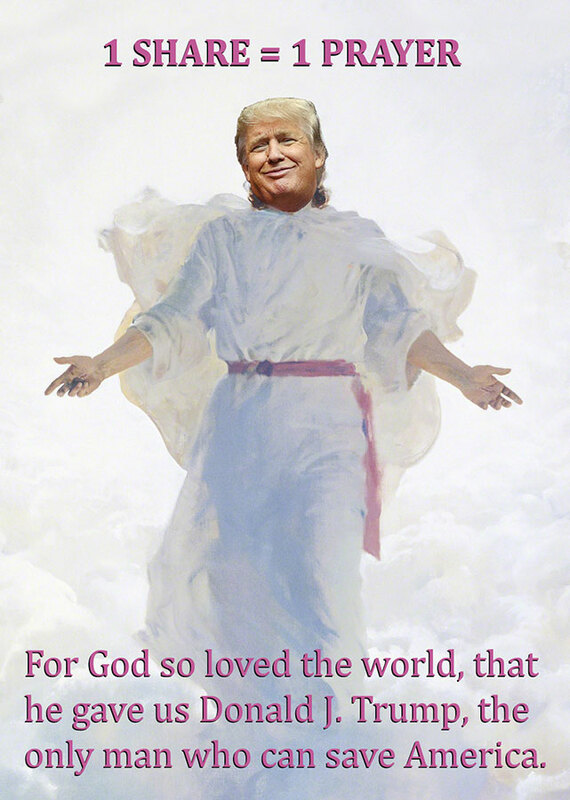 For God so loved the world, that he gave us Donald J. Trump, the only man who can save America. 1 Share = 1 Prayer. Better than Jesus. Donald J. Trump. He’s huge. [I have always loved this painting because of when and where I saw it as a boy, and it caused me physical pain to deface this it with Trump’s face. But I figured that the harm that evangelicals were doing to Christianity by supporting Trump and insisting they were still followers of Christ was much worse than anything I could do with a piece of unauthorized political art.